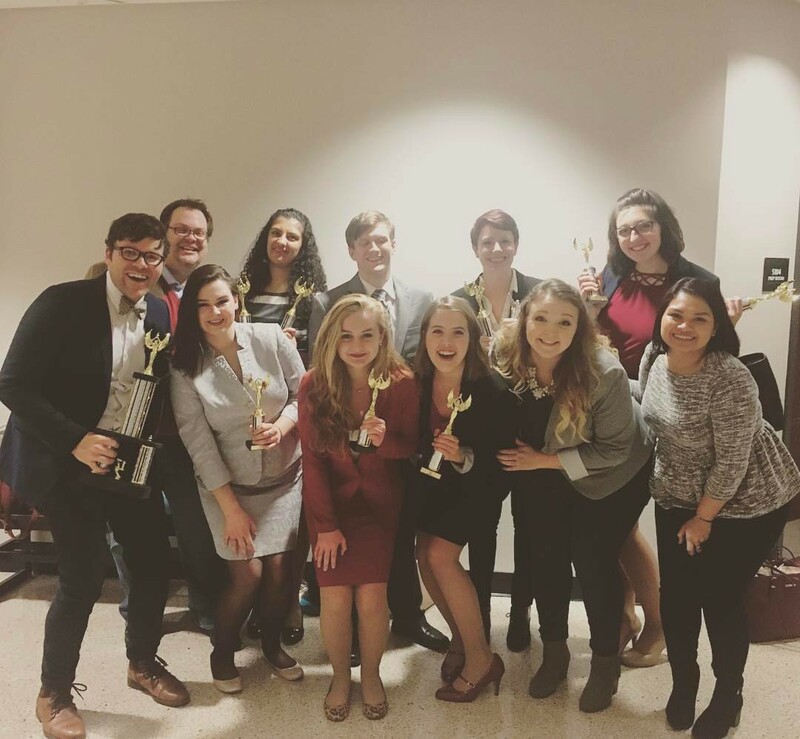 Allison Mahal was National Champion in three events–Novice Dramatic Interpretation, Duo Interpretation and Novice Prose Interpretation. She was named Overall Novice Speaker National Champion. Mary Spaulding took 3rd place in Novice Dramatic Interpretation, 3rd place in Duo Interpretation and 2nd place in Novice Prose Interpretation. She was National Champion in Novice Poetry Interpretation and was named 4th Overall Novice Speaker. Janvi Shuckla took 3rd place in Duo Interpretation and 2nd place in Programmed Oral Interpretation. She was a semi-finalist in Impromptu Speaking and was named 6th place Overall Varsity Speaker. Madison Kendrick was National Champion in Duo Interpretation, 4th Place in Programmed Oral Interpretation and 3rd Place Novice Prose Interpretation. She was named 6th Overall Novice Speaker. The team of Laura Durr, Allison Mahal, Janvi Shuckla, Madison Kendrick, and Mary Spaulding took 2nd in Reader’s Theatre. Debaters took 3rd in the Division III Debate with Blake Simmons named National Champion in J-V Lincoln-Douglas Debate.